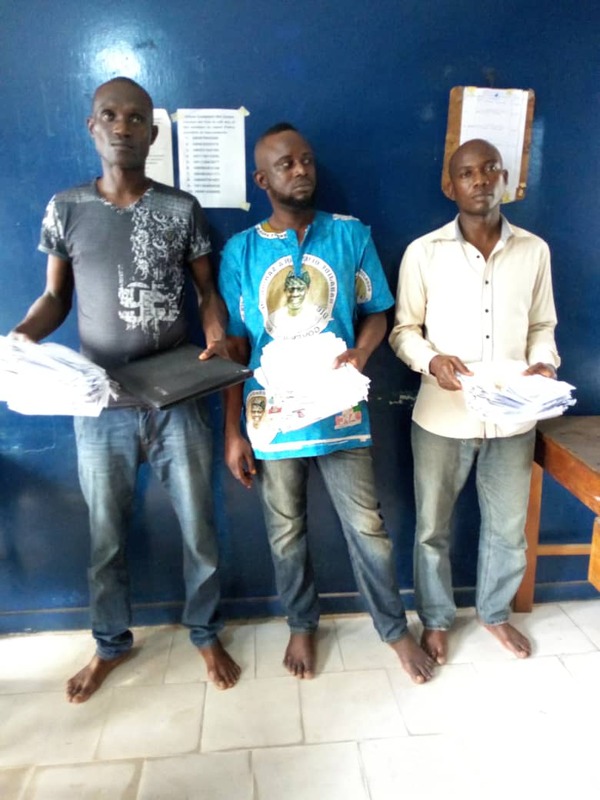 A Lagos Magistrate Court has remanded three men in prison for impersonating INEC workers and recruiting ad-hoc staff. The suspects,Kaiyewu Folahan, Akintunde Ibukun and Azeez Kazeem were caught in the act on Wednesday by the operatives and were immediately apprehended. The suspects were today arraigned accordingly at the Chief Magistrate’s Court 2, Yaba, for conspiracy, impersonation, forgery, fraudulent act and unlawful possession of INEC materials. They have been remanded in prison pending when they would perfect their bail conditions and the case was adjourned till April 16, 2019. Their arrest and trial followed a complaint earlier in the day from the Deputy Director of the Independent National Electoral Commission (INEC) in the Shomolu Local Government Area, Mrs Akinwunmi S.O. She had alerted the police that some persons at Shop no.33, Aluta Plaza, Federal College of Education, Akoka, Yaba were carrying out the illegal acts. This led the state Commissioner of Police, Edgal Imohimi, to direct the Pedro Police Station DPO to infiltrate the camp of the culprits with his undercover operatives,according to a statement made available to National Wire. Exhibits recovered from them include a laptop and 511 INEC Lagos Ad-hoc Recruitment Forms already filled with passport photographs affixed.